So, Marvel’s The Avengers broke all records for a movie’s opening weekend in the U.S. and Canada. There’s a lot of praise for the movie (that tends to happen with a big hit). Are there any any lessons for older movie franchises, say, a 50-year-old one featuring a gentleman agent? Maybe one. Avengers benefited from something no movie had before: It has been marketed to audiences since Iron Man first appeared at Comic-Con in 2007. When that movie became a surprise hit in May 2008 with a $98.6 million opening weekend, Marvel Studios chief Kevin Feige quickly unveiled his intention to make four more movies — The Incredible Hulk, Iron Man 2, Thor and Captain America — all of which would lead to a giant team-up. Avengers characters like Hawkeye (Jeremy Renner) and Black Widow (Scarlett Johansson) popped up in those movies, and the original Iron Man featured a coda segment devoted to the Avengers initiative. At the time, only comic-book fanboys understood the reference. Planning? Well, yes, that’s what happened with The Avengers. Had 2008’s Iron Man bombed, we probably wouldn’t have gotten The Avengers. But Marvel Studios did have a game plan about where to go from there. That led to 2006’s Casino Royale where Eon decided to start the series all over. The movie wasn’t so much Bond 21 as it was Bond 2.0. It was a big critical and commercial hit. But Eon didn’t exactly know where to proceed from that point. For Eon’s next movie, multiple ideas were considered, including Bond encountering Vesper Lynd’s child before opting for a “direct sequel” that didn’t really match up with the continuity of Casino Royale. Earlier, in the early 1990s, in the midst of a six-year hiatus, there were reports that Eon commissioned scripts so it could get off to a running start and get Bond movies out at a regular pace. Eon may have commissioned scripts, but there was no running start. After the series resumed with GoldenEye, Eon had scripts from Donald E. Westlake and Bruce Feirstein (and possibly others, but those two were publicly disclosed). The Feirstein script got rewritten by other writers before Feirstein did the final version and was the only scribe to get a writing credit for Tomorrow Never Dies. To be fair, Eon had a legal fight with Metro-Goldwyn-Mayer in the early ’90s and MGM had financial difficulties in 2009-2010, including a trip to bankruptcy court. That’s something Marvel Studios hasn’t had to deal with. At the same time, Marvel Studios was able to juggle multiple movies as well as different directors and writers as it executed its plan. If Eon has a similar long-term plan, it hasn’t shared it with anyone. Interestingly, an element of The Avengers is the secret organization SHIELD. Stan Lee, in a 1975 book, wrote that SHIELD was inspired by James Bond movies and The Man From U.N.C.L.E. television series. 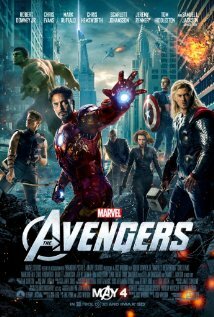 UPDATE (May 13): Marvel’s The Avengers had an estimated $103.2 million in U.S. and Canadian ticket sales in its second weekend of release. Meanwhile, Kevin Feige of Marvel Studios said in a Bloomberg Television interview that five more movies based on Marvel characters are in the works. Seems hard to believe but it has been more than five years since Daniel Craig was cast as James Bond. While researching something else, we came across how The New York Times reported the story. There were a few things that caught our eye. Yes, Wilson could not let the announcement pass without complaining about how tired he was. We’ve written before about Wilson’s complaints about how exhausting it is to make James Bond movies, as close as a movie producer can be to having a guaranteed sale. So add this to the list. Note, this was published in Ocotober of 2005, months before cameras would start rolling on Casino Royale. There wasn’t a public hint that Eon Productions was even thinking about emulating the Bourne films, something that reached its peak in the first 20 minutes or so of 2008’s Quantum of Solace. In that film, the Eon team even hired Dan Bradley, second unit director of the Bourne movies. After Casino Royale, producer Broccoli said Bourne was never a consideration in interviews SUCH AS THIS ONE WITH UGO.COM and that Casino was inspired by From Russia With Love, not Jason Bourne. Now, for the record, HMSS gave both Daniel Craig and Casino Royale a number of favorable reviews. So what we’re about to say isn’t a jab at Craig. It should be noted what Pascal said is demonstrably incorrect. Connery, depending on your source, is generally listed at 6-foot-2 or so. Daniel Craig, again depending on the source, at around 5-foot-10. Now 5-foot-10 isn’t a midget by any means. But it’s a good four inches shorter than 6-foot-2. If Pascal wanted to brush off criticism of the choice, there were all sorts of other things to say. Don’t say something that doesn’t stand up to the tiniest bit of scrutiny.